Shok Amps :) - Car Audio Classifieds! For those following, a back ground story is we hit a snag late last yr in funding the production of the Shok amplifiers ( it aint cheap man). Shok amps were due to be stopped due to this and we were actually looking around for external funding and investors. 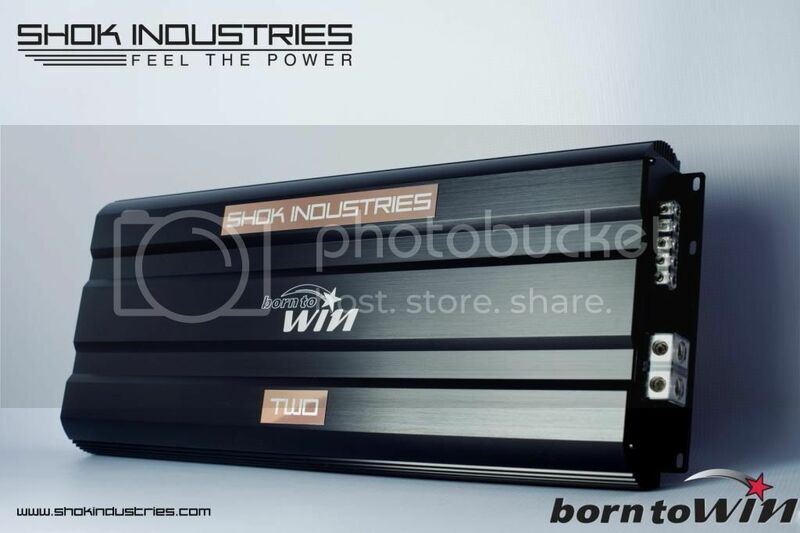 The main owner of the investor company said, he hopes with these line of amplifiers, he wants to inspire more people not just to get into car audio, but to also have the confidence to compete in car audio competitions Thus the slogan " Born to Win". Amps will not be sold online, forums or ebay and only sold via selected dealers Dealers have families to feed and need to make a living. Thus I hope you support your local dealers. So sick, really do love the copper colored plates. You like the copper? I think it'd be a bit cleaner without them, with just the white lettering. But that's just me. I wouldn't let that stop me from picking one up for the right price. Glad to see you getting these together Russ! I do actually, I've seen a few others shots of the amps with the plates and it actually really looks good. I completely agree as well .